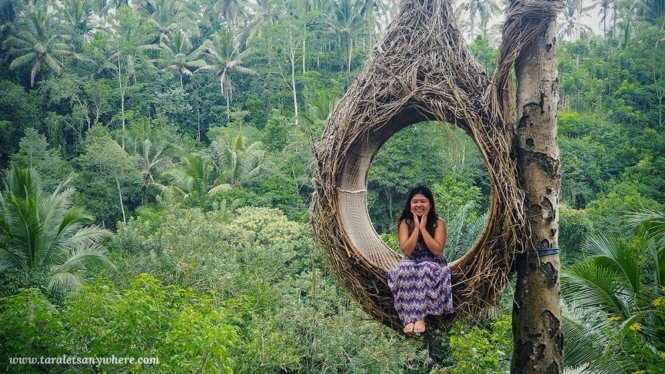 hoLet me tell you one thing about Bali — it’s a cliche yes, but places become cliche for a reason. Bali is a beautiful island, thriving with culture and native art. We love our trip in The Island of the Gods in a way that’s difficult to express in words, and here we’re sharing our 6 days itinerary in Bali. Bali is a popular island in Indonesia. 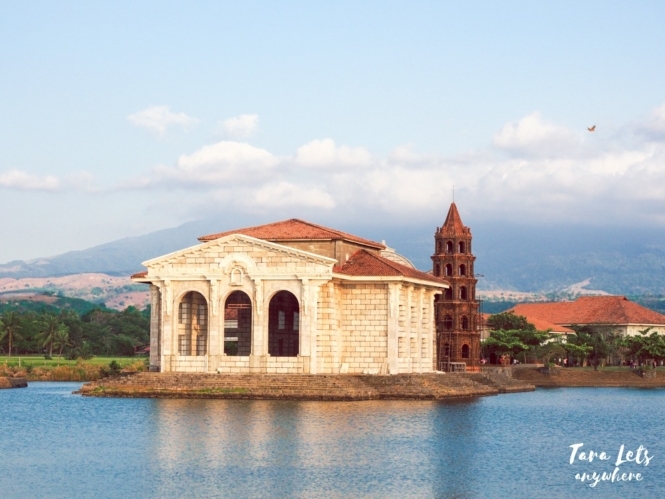 It’s mostly known for its iconic rice paddies, jungles and forested volcanic mountains. Ubud is the arts and cultural heart of Bali – here you can visit art markets and workshops, Hindu temples or attend meditation/spiritual retreats. Seminyak is the “chic” counterpart of Ubud, where you can find boutique stores and restaurants. Kuta is a place for beginner surfing and, along with Sanur and Nusa Dua, is a popular resort town. From Bali, you can also go to the nearby Nusa Lembongan and Ceningan and Nusa Penida islands. I don’t need to say this, but this is just a guide. Again, Bali is a very beautiful place, it’s perfectly fine if you just book a villa and do a staycation for days or walk around Ubud. October to March is the rainy season, while April to September is the dry season. High-peak season runs from June to August. As such, the best time to visit would be March and April, when the weather is fine but still hasn’t reached the high-peak months. We visited in May and experienced cloudy skies, but otherwise the weather is fine. Perhaps the best tip I can give you is don’t scrimp yourself! Bali is beautiful so do yourself a favor and book a good accommodation, indulge in quality food and do a little shopping for local goods. You’ll thank yourself later for it. For pickup service from Ngurah Rai airport to anywhere in Bali, the cheapest service we found was via Klook. You can also ask your tour guide (if you have booked in advance) for pick up or your accommodation to arrange one for you. Bring USD and then change it to IDR (Indonesian rupiah) once in Bali. You can change a small amount in the airport and then the rest in money changers outside. Be careful of money changers with rates that seem too good to be true, as we’ve read accounts where the customers are not given the full amount during exchange. For a local sim card, we used Telkomsel. Telkomsel is known to have good signal all throughout Bali and even in neighboring islands. Get a full-body massage and flower bath. It’s one-of-a-kind experience. There are no standard rates for tours in Bali. This is the usual costs of tours via private cars (good up to 4 people), from our inquiries (updated as of May 2018). Make sure to bring pocket money for lunch and entrance fees (usually 10,000 IDR+/P40+ per person) and activities (e.g., Umapakel Swing: 200,000 IDR / P700 per person). Also, temples usually require you to wear a sarong (rental 5000 IDR / P20 per person). Just bring some pocket money, okay. 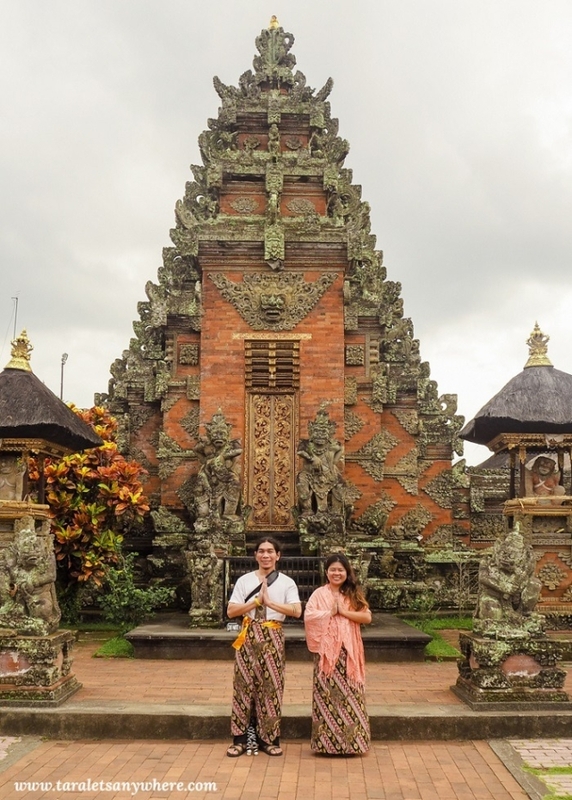 This is a laid-back tour exploring a few temples in Bali, including Lempuyang Temple, which is one of the oldest temples and believed to predate other Hindu temples in the island. 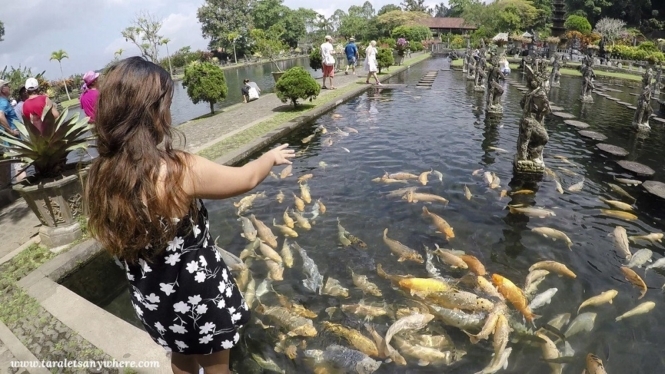 In this tour, we loved the road trip itself (it’s about 2-2.5 hours from Ubud) and Tirta Gangga where we bought feed for the fish. Heaven’s Gate in Lempuyang Temple. Fish feeding in Tirta Gangga, Bali. Tenganan Village – one of the ancient village in Bali. Here in Bedugul Tour, you can see some of the iconic locations in Bali such as the Tanah Lot Temple. We skipped this one and chose the Lempuyang Tour instead. This is just info on Uluwatu Tour. Again it’s not included in our itinerary. Here’s what we love about this tour: The Batik Making Tour, where we were shown the process of making batik (handmade and pressed) and shopped for high-quality handmade batik products (bought a lovely pink sarong); Uma Pakel Swing, where we had coffee/tea tasting including luwak coffee (the “cat poop coffee”) and where Hali swung happily in a giant swing; Tegallalang rice terraces, which is a beautiful spot although a bit more touristy than others, surrounded by souvenir shops; and Batuan Temple. Bird’s nest (same location as uma pakel swing). 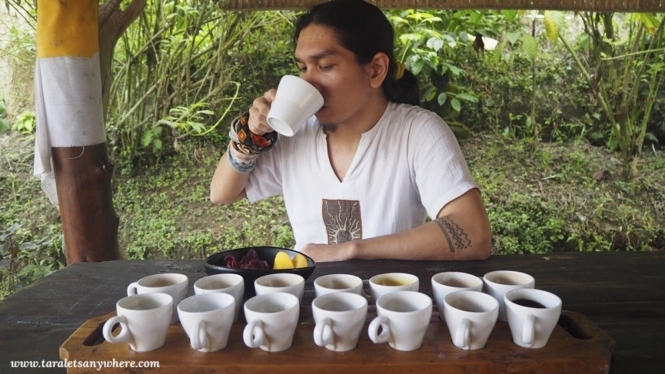 Coffee tasting, including luwak coffee. We highly suggest spending at least one day just walking around Ubud, in particular so you can explore the Ubud Art Market, open from morning to 6PM only. It’s a whole cultural experience in itself. Shopping for local goods and souvenirs is one of the highlights in our trip. We feasted our eyes on flowy dresses, pants, knick-knacks like decorated can openers, dream-catchers, Bohemian-print bags, Buddha statues and so on. Tip: Haggle down when shopping because vendors expect it and will quote high prices at first. Make sure to read this ethical haggling guide for travelers. This day is also a time to book for a massage! A 1-hour massage and flower bath typically costs about 250,000-300,000 IDR (P900-1100) per person. 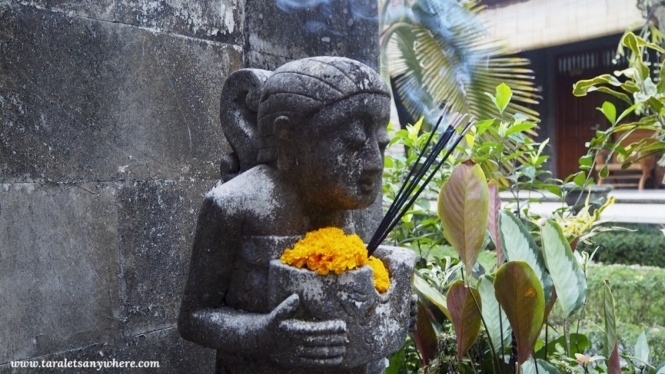 Some popular ones include Karsa Spa and Ubud Botanical Spa. Resorts oftentimes also offer their own spa services, which can be cheaper than the ones outside. Here’s a flower bath in Liyer House. Tip: If booking in a popular spa, make sure to reserve weeks or days in advance. We were lucky to get a spot on the same day in 2 different spa locations, but we looked everywhere else and the ones with flower baths were all fully booked. Most tourists come to Nusa Penida for a day trip only, but if you have time, go on a 2-day excursion instead to see Atuh Beach and Thousand Beach. There are very few tourists here. In fact, we were alone in our visit to Atuh Beach! If you’re into out-of-this-world cliff views, we definitely recommend spending a longer time here. Note: A lot of blogs suggest renting a scooter to tour Nusa Penida, to save money. Roads in this island are uneven or rough roads, also some of them are very steep. Unless you’re comfortable riding in this condition, we suggest hiring a tour guide with a proper car instead. 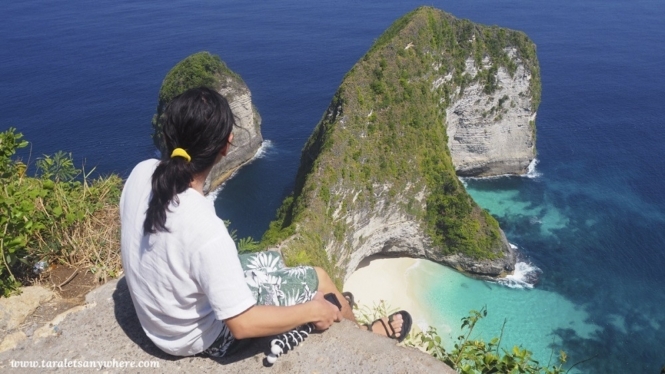 Take note that a day trip to Nusa Penida does not include a snorkeling tour. 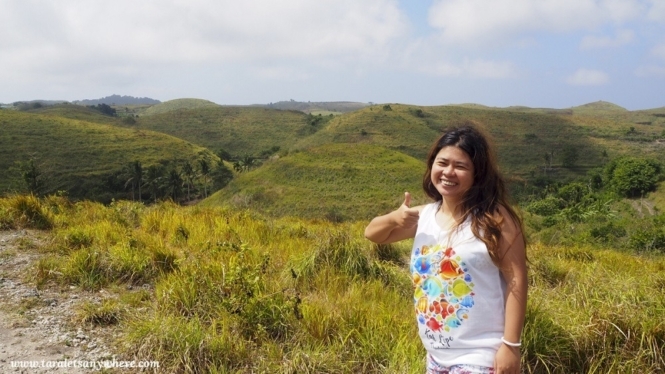 2-day trip: 1.2M IDR for 2-day tour via private car (car good for 4 people). We also asked to include RT ferry tickets Sanur Port-Nusa Penida and lunches (500,000 + 200,000 IDR for 2 people) and snorkeling trip (200,000 IDR per person). Total is 2.3M IDR (P4400) for 2 people. You can explore Seminyak by foot. Usually what you do here is eat (lots of great cafes and restaurants), shop (for last-minute shopping or luxury items at boutique shops) or bum at the beach. Trying out the famous “smoothie bowl” at Nalu Bowls. 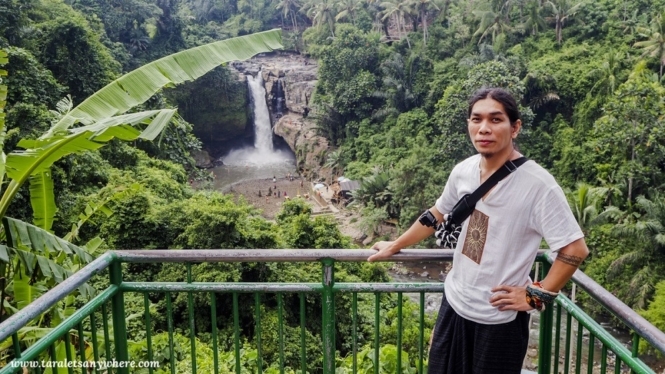 For tours in Ubud, Lempuyang or Bedugul, we recommend the services of our driver Ngakan. You can contact him in his website or Facebook. 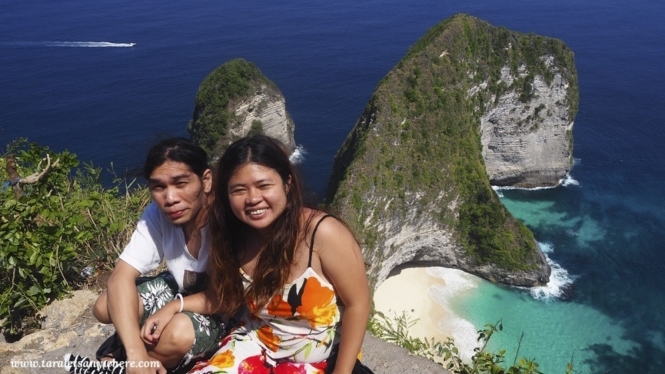 For the tour in Nusa Penida, we recommend Lindra. 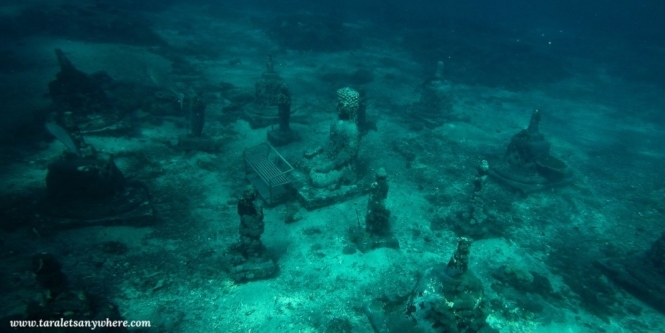 We customized the package so we can include a snorkeling tour (to see the manta rays and the Underwater Buddha Temple), as this isn’t always included in the tours. You can email him at: lindranyoman42643@gmail.com. It goes without saying that we’re happy with our tour guides. If you get the service of either Ngakan or Lindra, please say Hi from us (Katherine & Hali)! P.S. Please support the locals and if you are going to negotiate, stick with reasonable rates that are beneficial to both of you. There are tons of accommodations in Bali, for all budgets. There are cheap homestays starting at 160,000 IDR (P600) or luxury villas starting at 800,000 IDR (P3000). You can get a room in the middle of rice paddies, jungle or (if you’re anywhere in Seminyak or Kuta) in the beachside. Here’s one thing you have to know: the pools in Bali are the best, and since private villas and resorts here are super affordable, make sure to stay in one at least one or two nights, even if you’re doing a budget trip. You can also look at our separate post on the most beautiful places to stay in Bali! Or go right ahead and look for discounted rates of accommodations in Bali here. Anyway, here are the places we stayed at in Bali. We found these in AirBnb. 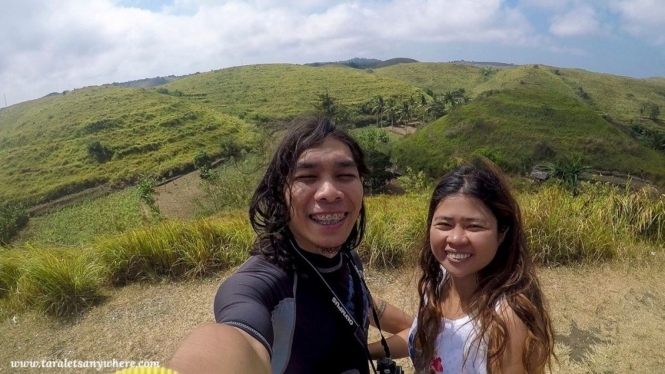 If you aren’t registered in AirBnb yet, you can do so using this referral link and get FREE P1600 / $30 initial credits on your first booking. 🙂 You’re welcome. Simple yet comfortable homestay in Bali. It’s also one of the cheapest you can find. Fan room with breakfast available. It’s walking distance from the major attractions in Ubud, and it’s close to our favorite restaurant, Bali Buda. This resort is the home of Ketut Liyer, the medicine man in Eat, Pray, Love (passed away last 2016). The resort itself is okay — our favorite here is their spa packages. Massage and flower bath is great, and it’s one of the cheapest we found (250,000 IDR / P925 for 1 person). Book here via AirBnb or Agoda. Again, a simple accommodation in Nusa Penida. It’s walking distance to the port and the beach, so you can swim after the tour. It’s also close to local restaurants and stores. A small hotel in Seminyak with a lovely pool, comes with a pink flamingo water float you can use for picture taking. It’s close to a number of good restaurants and shops… A bit of a walk to the beaches in Seminyak. 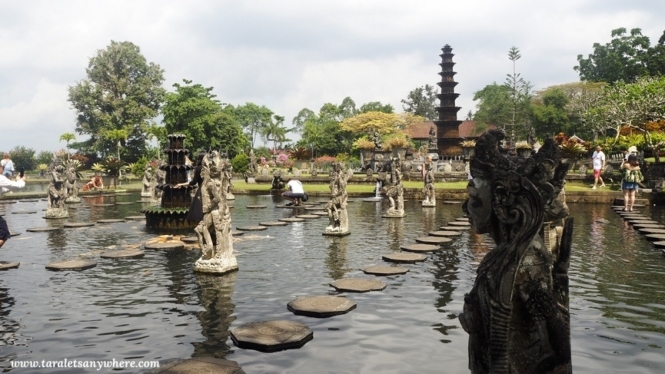 For 6 days in Bali, we spent about 4.7M IDR (P18,000) per person for 2 people. Flight expenses excluded. Please take note we weren’t doing a budget trip, so you can do it less if you want. Prepare a little more if you plan to book an exclusive villa. We had a mix of both budget and mid-range stays. 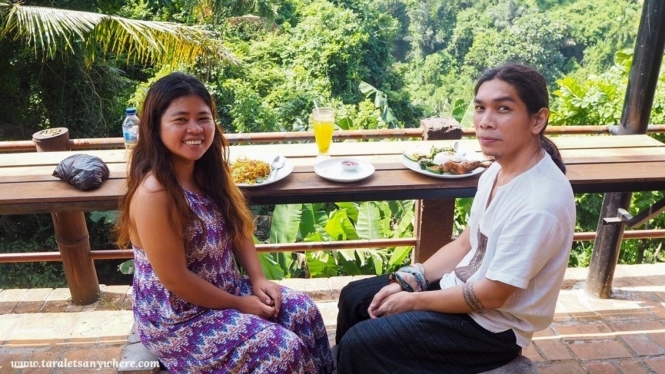 We also splurged on food, with a budget of about 200,000 IDR per meal (P700) for 2 people. 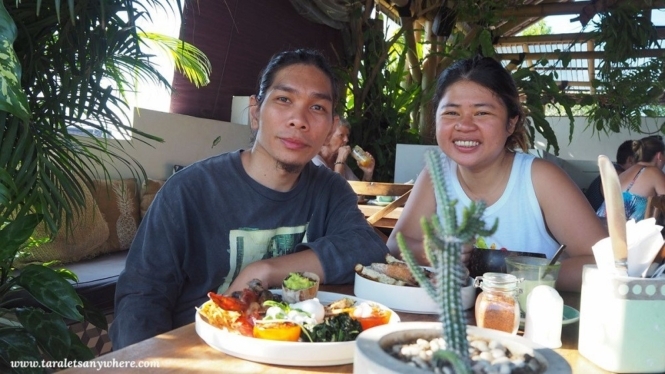 Food in Bali is delicious and cheap, we recommend not scrimping on it! It’s an essential part of the whole Bali experience. We also indulged in a spa package at least twice. We booked our flights on regular price (about P8000 Manila-Bali RT for Hali, P4000 KL-Bali RT for me). Of course, you can get half-priced tickets during promos. 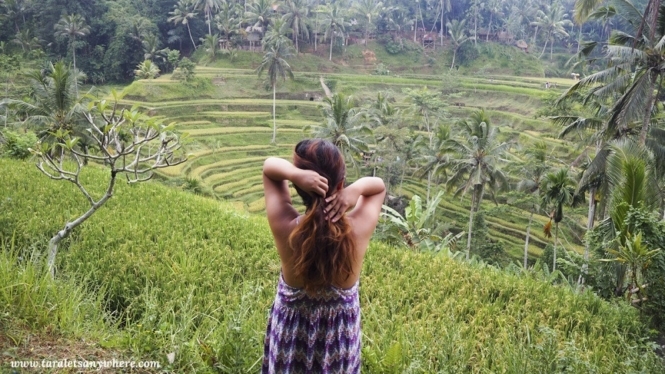 Has this 6 days itinerary in Bali been helpful to you? If yes, don’t forget to share this post and like us in Facebook! P.S. Traveling to Bali, Indonesia soon? If you’re coming here with your partner just like us, you might also want to read this honeymoon guide to Bali! If there is ever a peaceful island on the planet, it’s Bali for sure. The sweet blows of wind put a rush in your mind and your day becomes fuller. In case you are planning a trip with your soulmate, Bali has to be on your list. Very helpful blog!! Thank you so much!!!!!! Hi! Helpful blog post! I will be going to Bali next month and your itinerary seemed to be the closest one to check all the things i wanted to do in Nusa Penida. May i ask which tour provider you hired? Living in Bali, I feel like no time is ever enough to explore all the stunning scenery of this island – but looks like you hit up the highlights 😉 thanks for sharing your post and amazing photos! The spa treatment looks divine! You live there? Omg that’s my dream. Thanks for sharing the great tips of Bali! Appreciate the details in what you did. We’re heading there at the end of the month and can’t wait to visit. Nusa Penida has beautiful views.